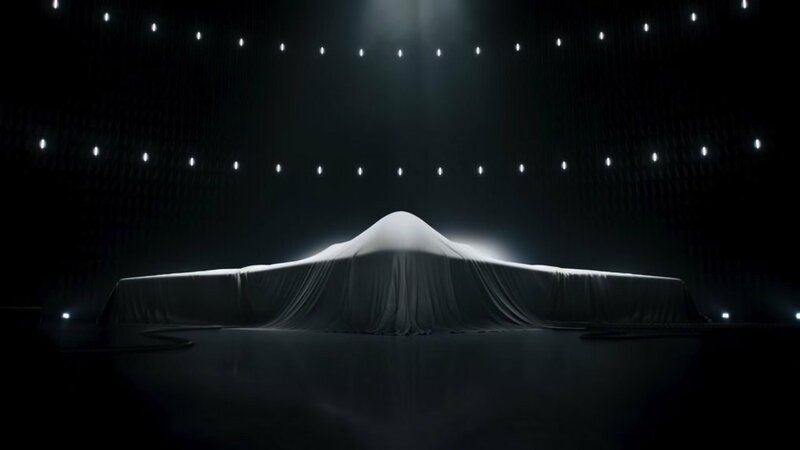 PENTAGON — The U.S. Air Force has selected Northrop Grumman to build the service’s planned Long Range Strike Bomber (LRS-B) beating a combined Boeing and Lockheed Martin team, officials said in a long awaited announcement. Under the terms of the contract award, Northrop will now enter into engineering and manufacturing development (EMD) phase for an undeclared number test aircraft as well as production options for the first five lots of 21 aircraft. The Air Force did neither disclose the amount of the initial contract award nor the the amount of EMD aircraft in the highly secretive program. The service has said it was interested in buying up to 100 of the aircraft and set an estimated average procurement unit cost (APUC) of $564 million in Fiscal Year 2016 dollars. The cost of the APUC per unit plus estimated research and development costs could mean the program could tally up at $80 billion. Independent think-tank cost estimates place the total as high as $100 billion — or roughly the cost of the Navy’s 12 submarine Ohio-class nuclear ballistic missile replacement program. The LRS-B is scheduled for an initial operational capability in the mid-2020s. Officials on Tuesday — from Security of Defense Ash Carter to Air Force Secretary Deborah Lee James — said the necessity of the presumably highly stealthy and penetrating LRS-B was due to the rise of the worldwide anti-access area denial (A2/AD) capabilities — particularly guided anti-air missiles. Current Air Force bombers and tactical fighters rarely travel without Navy or Marine Corps electronic attack aircraft in contested airspace. For example, during the 2011 Libyan airstrikes of Operation Odyssey Dawn a squadron of U.S. Navy EA-18G Growlers provided electronic attack and electronic warfare support to Air Force units during strike missions. Air Force Global Strike Command commander Gen. Robin Rand said that joint operations would be a focus of the yet-unnamed LRS-B platform, when asked by USNI News during the briefing. Other details of the future platform were not shared like subcontractors for other components of the aircraft. On the announcement of the Northrop Grumman award, aircraft engine maker Pratt & Whitney offered public congratulations to the company but stated it would make no additional comments. The Air Force likewise did not release an images of the aircraft.